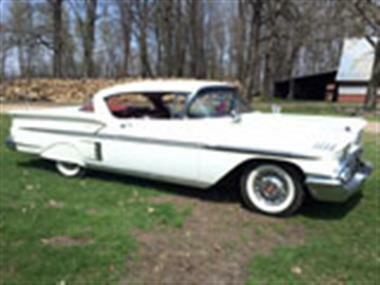 1958 Chevrolet Impala in Holdingford, MN for sale. Chevy Impala Hardtop. This 1958 Impala has been a well loved car. It has a 348 V8 engine with Powerglide automatic transmission. 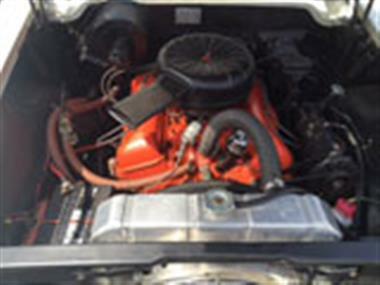 The motor has been overhauled before I purchased the car and it does not use oil. Its all stock except for spoked rims. 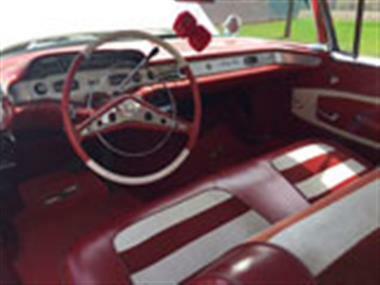 Interior is red and white with fabric seats and no cracks. 103,000 miles. Email or call for more photos. 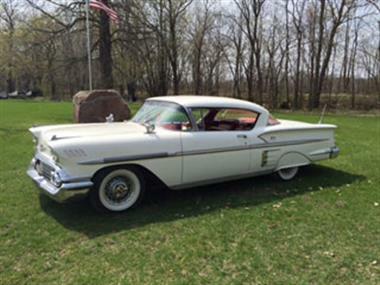 This vehicle is priced $13,497 less than the Average Market Price of $63,497 for a 1958 Chevrolet Impala. This is a Good Deal as it's priced 21.0 % below market avg. The Pie chart below shows the number of ads within different price ranges.